In addition to offering you the latest apparel, we specialize in customizing work wear, uniforms, promotional products and more. Our in-house embroidery and transfer service ensures that your request will be done on time and on budget. 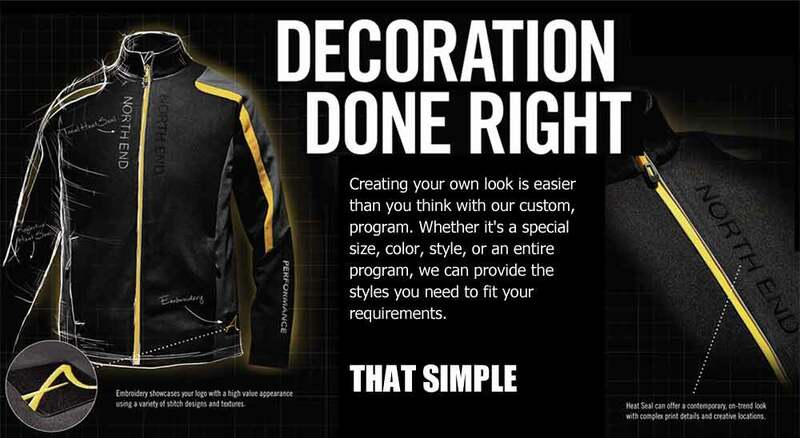 Below you will find a variety of customization options for your next order. These options will help to transform your uniforms, lab coats, jerseys and other promotional gear.